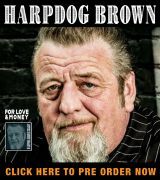 Mick Kolassa, aka Michissippi Mick, is a lifelong blues fan who previously served on the Board of Directors of The Blues Foundation in Memphis. After a career in pharmaceutical marketing (in which he gained some notoriety for aggressively promoting a free-market approach to pharmaceutical pricing), Kolassa set his sights on performing and recording his unique take on blues and blues-rock music. Currently based in Memphis, TN, Kollasa has several releases under his belt. 149 Delta Avenue is his sixth, and was produced by Grammy and BMA winner Michael Freeman, a well-known producer and engineer who currently serves on the Board of Directors for The Blues Foundation. Of the dozen songs on this CD, 9 are Kolassa originals, and three are covers. 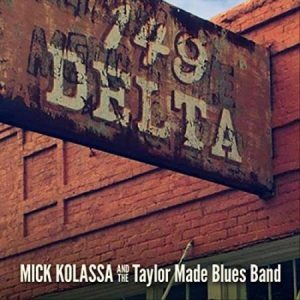 In addition to Kolassa on guitar and lead vocals, the backing band for this release is The Taylor Made Blues Band, consisting of David Dunavent on guitar and backing vocals, Leo Goff on bass, Lee Williams on drums, and Chris Stephenson on keyboards, with Susan Marshall and Daunielle Hill on backing vocals. The album title refers to Kolassa’s Clarksdale, Mississippi studio which is featured on the CD’s cover. The opening track, “I Can’t Slow Down,” a 4/4 rocker with the refrain, “I can’t slow down or I’m afraid I’ll stop,” captures a feeling shared, I suspect, by many performers of a certain age. The song “U.S. 12 to Highway 49” alludes to Kolassa’s southward migration from his native Michigan to Mississippi, along with his musical migration to the blues. This bouncy shuffle features some solid harp playing by Eric Hughes. “Alternative Man” slows things down a bit with a contemporary take on themes found in songs like Willie Dixon’s “Back Door Man” features Jeff Jensen on some tasty guitar work. But with lyrics like “When your man ain’t around, I can give you what you need… Give you more than you ever had, that’s guaranteed,” this seems to be clearly a bit of a stretch for a guy in his mid-sixties, but hey, what do I know? “Cotton Road” features Toranzo Cannon with some gritty guitar work, underscoring a tale about the trials of the workers – mostly slaves – who helped unscrupulous land owners build the cotton industry in the U.S.
“American Intervention” is a slow, minor blues that details the challenge of watching a loved one struggle through addiction, and features some haunting tremolo guitar as a foundation behind the vocal. “Whiskey in the Mornin’” is the classic drinker’s lament: “I love it in the night time, but I hate the next mornin’…” and features J.D. Taylor playing some tasty harmonica licks. “I Don’t Need No Doctor” is the Ashford-Simpson-Armstead classic, done as a minor funk blues with some great horns, Chris Stephenson’s classic organ sounds, and Jeff Jensen’s fine guitar work. “Alternative Man Alternative,” revisits “Alternative Man” with a blues rock edge that while catchy, still can’t salvage the occasionally cringe-worthy lyrics. “The Viper” is an old-timey jazz-blues that was written in the 30s by jazz violinist Stuff Smith, and originally released under the title “You’se a Viper.” It’s probably most recognizable from Fats Waller’s 1943 release as a 45 single. Kolassa’s rendition really works so well because of the interwoven lyricism of Suavo Jones on trombone; Marc Franklin on trumpet; and Alice Hasen on violin, lending it a freshness that stands out on this collection, and making it my favorite track on this album. 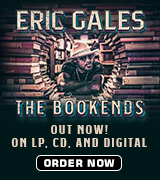 Of note is the fact that 100% of the net proceeds from the sale of this CD go to The Blues Foundation’s two main programs, the HART Fund (Handy Artists Relief Trust) for Blues musicians and their families in financial need due to a broad range of health concerns; and a Blues in the Schools youth education initiative that enables qualified applicants to study an instrument of their choosing at reputable camps, seminars, and workshop programs. All in all, 149 Delta Avenue is a well-produced, easy-to-listen-to collection of bluesy tunes that cover a wide swath of blues, blues-rock, roots, and soul styles. The song structures are taken from a variety of basic blues forms, but the lyrics can sometimes feel stilted. The recording, engineering and production is polished – perhaps too polished – and seems to lack the spontaneity of the best blues recordings. The band is solid, the guest artists quite good, but Kolassa’s songwriting and vocal performance can be self-conscious and perfunctory, bordering on facile. Interestingly enough, in researching Kolassa in preparation for this review, I came across a YouTube video with the heading “Relaxing Blues Music,” featuring – among others – Kolassa’s cover of “Ain’t Nobody’s Business.” I thought that to be an unusual, but apt description. But that’s just me. In any case, give it a listen. It might be just what you’re looking for.